You'll visit kid-friendly attractions like Melbourne Zoo and Eureka Skydeck 88. When in Melbourne, make a side trip to see Werribee Open Range Zoo in Werribee, approximately 42 minutes away. Dedicate the 12th (Sun) to wine at some of the top wineries in the area. The adventure continues: don't miss a visit to Royal Botanic Gardens, take in nature's colorful creations at Fitzroy Gardens, admire the masterpieces at National Gallery of Victoria, and soar above the sights with a balloon tour. To find more things to do, photos, traveler tips, and tourist information, go to the Melbourne trip itinerary builder . Mumbai, India to Melbourne is an approximately 17-hour flight. Traveling from Mumbai to Melbourne, you'll lose 4 hours due to the time zone difference. Plan for much colder temperatures traveling from Mumbai in May, with highs in Melbourne at 20°C and lows at 9°C. Finish up your sightseeing early on the 16th (Thu) so you can travel to Sydney. Bring the kids along to Bondi Beach and Sea Life Sydney Aquarium. There's still lots to do: kick back and relax at Manly Beach, engage your brain at Powerhouse Museum, catch a live performance at Sydney Opera House, and take in nature's colorful creations at Chinese Garden of Friendship. To find where to stay and tourist information, read our Sydney tour itinerary planning tool . Getting from Melbourne to Sydney by flight takes about 3.5 hours. Other options: do a combination of shuttle and flight; or drive. 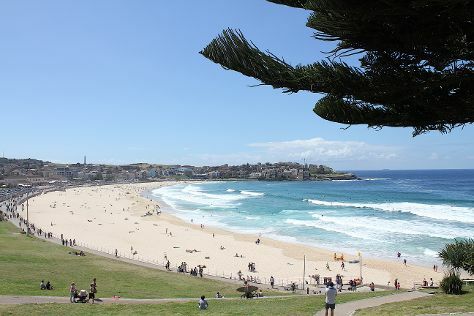 In May, Sydney is somewhat warmer than Melbourne - with highs of 24°C and lows of 14°C. Cap off your sightseeing on the 21st (Tue) early enough to travel to Cairns. Family-friendly places like Wildlife Habitat Port Douglas and Palm Cove Beach will thrill your kids. You'll find plenty of places to visit near Cairns: Port Douglas (Four Mile Beach & Safaris), Daintree Discovery Centre (in Cow Bay) and Palm Cove (Hartley's Crocodile Adventures & Spas). Spend the 22nd (Wed) among aquatic life with a scuba or snorkeling tour. There's still lots to do: enjoy the sand and surf at Thornton Beach, enjoy some diversion at Muddy's Playground, trek along Esplanade Boardwalk, and admire the natural beauty at Botanical Gardens. For ratings, photos, maps, and other tourist information, read Cairns trip planning site . Fly from Sydney to Cairns in 6 hours. Alternatively, you can drive; or take a train. In May, Cairns is somewhat warmer than Sydney - with highs of 32°C and lows of 24°C. Wrap up your sightseeing by early afternoon on the 28th (Tue) to allow enough time to travel back home.